This made me think back to a psychic reading I had received a long time ago from a blunt and no-nonsense psychic. After going on and on about how I was doing my best to think positively and use my power of intention to manifest a certain goal for myself, this psychic had matter-of-factly advised me that despite all of these efforts, I was manifesting neutrality for myself. According to him, this was because I had other intentions that were working at cross purposes to my goal. 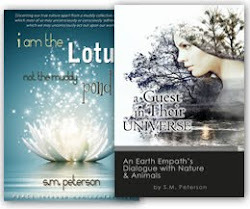 My issue at the time of that reading was with manifesting loving relationships. I primarily wanted to feel forgiven by others and accepted for who I was. I had a health issue, and the most painful part of it was feeling ridiculed and misunderstood. 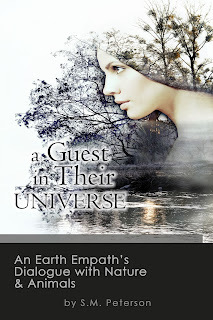 The psychic counseled, “Well, if it doesn’t come from you first, it doesn’t happen, does it?” He pointed out to me how my relationships weren’t exactly the nurturing type that would help me with reaching my goal. With tears streaming down my face, I knew he was speaking the truth. After advising me on how to achieve my goal less through trying to contort myself to meet others’ expectations but instead through developing the self-confidence to be myself, the psychic asked if I had any other questions for him. So, I told him I was pregnant. To my surprise, the psychic then chuckled, which I could tell was in frustration with my predicament. He then told me that while a baby would be able to offer me the kind of unconditional love I was looking for, I had “chosen” to trap myself in a situation where I would be “used.” By the end of the reading, it was made obvious that if I truly wanted a harmonious relationship, I needed to make a choice (a form of intention) not to get myself into situations where I was repeating the past in a way that gave me little room to move or grow. I would have to let go of my abusive childhood and my need to recreate my past through my present relationships. Making a choice to remain a victim was not the way to fulfill my intention of becoming a more spiritual and forgiving person. It was also not the way to forgive my parents. Not knowing where the message originated, I then heard, “Look up!” So, I obeyed the request. 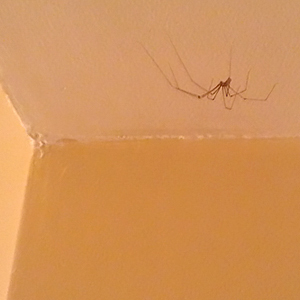 As I looked above me, there, situated in the crease where my bedroom ceiling meets the wall, was a daddy longlegs spider. “What exactly is the blindfold?” I asked. “The falsity of self, false pride,” was the message relayed. “How do we overcome this?” I asked, wanting to know more. “Might does not make right. What is false cannot be made light,” was the response that I wrote down. “True,” I said in agreement. “What do we need to know about nature right now?” I wanted to know. “Means to an end?” I asked. “What can we better understand about our external journey?” I asked. “That seems a common theme to all the messages I have received,” I thought to myself. The house spider hadn’t finished, however, and had more to say on the topic. “In what way do you see that we are not walking our spiritual talk?” I inquired. “What can we do about the environmental fruits that are already in form?” I asked, wanting to understand. With this, I thanked the spider for its insight and got out of bed to start my day.